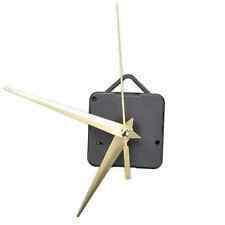 Great for repairing, replacing or making a clock. Quiet silent mode. Thread length: 6mm. Power: 1.5V AA battery (not included). Hour hand length: Approx. Minute hand length: Approx. Second hand length: Approx. Quiet silent mode. Thread Length: 20mm. 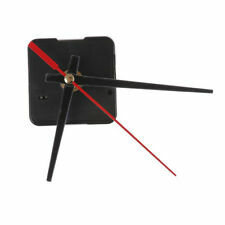 Great for repairing, replacing or making a clock. Case size: 55 x 55 x16 mm. We will try our best to reduce the risk of the custom duties. Due to the difference between different monitors, the picture may not reflect the actual color of the item. Traditional pendulum Rod & Bob. Imitation gold finish. Quartz Clock Hands. Weight - 73g. New Arrivals. School Projects. Traditional pendulum Rod & Bob. Imitation Shiny silver finish. Quartz Clock Hands. New Arrivals. Browse All. School Projects. Traditional pendulum Rod & Bob. Imitation silver finish. Quartz Clock Hands. New Arrivals. Browse All. School Projects. Fits Hole:- 55mm supplied with rubber fitting ring. Depth of clock insert is only 6mm. Battery included - with battery saving clip so no dead / rundown batteries. 1 x Brass nut. Note: Light shooting and different displays may cause the color of the item in the picture a little different from the real thing. Hand size: total hour hand length: approx. Material: plastic and aluminum. 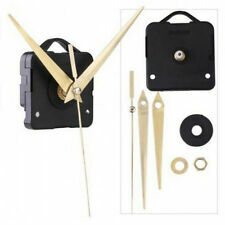 Great for repairing, replacing or making your own clocks. Colour: Green luminous hour, seconds and minute hands, Black Case. Design: Silver hands. Hour hand length: Approx. Case size: Approx. 55 x 55 x 16 mm. 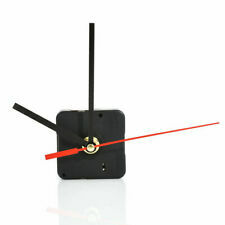 Ideal for replacing defective units or for creating your own personalized clock projects. Don’t dispose of in fire. Body Size :55x55x15 mm/2.17"x2.17"x0.59". Energy efficient. Don’t put electronic products as household waste. Traditional pendulum Rod & Bob. Imitation Shiny gold finish. Quartz Clock Hands. New Arrivals. Browse All. School Projects. Traditional pendulum Rod & Bob. Imitation brass finish. School Projects. New Arrivals. Browse All. Ideal for repairs or crafters. (with Captain om watts london on dial and Made in Germany. Good luck. ). MPN Does not apply Brand Unbranded Designer/Brand Unbranded EAN 190268940429 ISBN 190268940429. Whole Length Instruction is not included. 1 x Hour Hand. Minute Hand: about 85mm. Hour Hand: about 60mm. 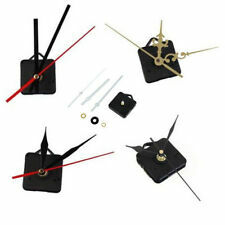 Great for repairing, replacing or making a clock. Thread length: 6mm. - Quiet silent mode. Hour hand length: Approx. 82 mm (3.2"). Power: 1.5V AA battery (not included). 1 x Hour hand. Minute hand length: Approx. Traditional pendulum Rod & Bob. Imitation brass finish. 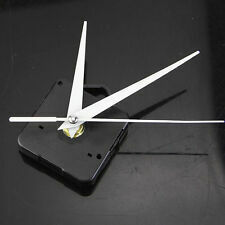 Quartz Clock Hands. School Projects. New Arrivals. 5X(I shaft, drive long clock hands (10 mm to 450 mm). 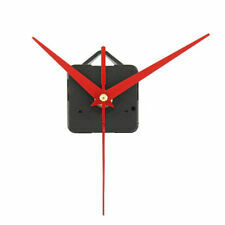 Suitable for repairing, replacing or making a clock. 1 x Minute nut. 1 x Brass nut. Note: Light shooting and different displays may cause the color of the item in the picture a little different from the real thing. ). Whole Length 5 x Hour Hands. 5 x Minute Hands. 5 x Seconds Hands. Instruction is not included.